Ready for move-in! Impeccable newer Wildwood home featuring almost 2,000 square feet of living space! Exterior maintenance included! Newer community with great location & easy access to major thoroughfares and walking/biking trails. Landscaped front yard leads to covered front porch and entry foyer. Main level living room splits to kitchen and formal dining area. Spotless kitchen boasts stainless steel appliances, custom cabinetry, breakfast bar and pantry. Main level laundry w/washer & dryer included! You will enjoy the deck and main floor laundry w/washer & dryer! Retreat to the master suite which offers double door entry, ceiling fan, master bath and walk-in closets. Sleek can-lighting throughout upper-level. Walk-in closets in all bedrooms! Basement great for storage or rec area. Sprinkler system & 2-car garage! 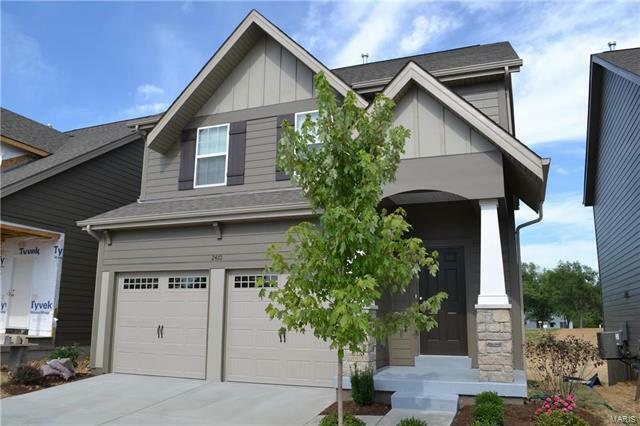 Did we mention that this home is almost NEW! Sorry NO PETS. NO SMOKING. Call today to schedule your showing!